Boies Penrose represented Pennsylvania in the U.S. Senate for over a quarter of a century. During his tenure, he was caught up in the battle between the two big contractor bosses of the city, state Senator James P. McNichol and brothers Edwin and William Vare. The understanding between the rivals was that the doling of city contracts would be divided evenly, with McNichol getting contracts for any job north of Market Street and the Vare brothers securing contracts for everything south of Market Street. In spite of this understanding, McNichol and the Vare brothers constantly battled for control over the Republican City Committee, which was composed of the party leaders for the city’s political wards. Whoever gained control of the committee gained control over the city’s coffers. Boies Penrose had substantial sway over the committee and often favored McNichol. However, he also borrowed significant sums from the Vare brothers. He paid back these loans by connecting the Vare brothers to large contracts offered by private companies. In this way Penrose maintained the balance of power between the contractor bosses of Philadelphia. 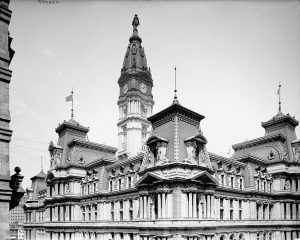 The construction of Philadelphia’s City Hall is an example of the sway that Philadelphia’s contractor bosses wielded during the late nineteenth century. William Stokley, an obscure local politician, played a large role in the selection of the site at the intersection of Broad and Market Streets. After his role in selecting the site, Stokley became mayor of Philadelphia, a position he would hold for over a decade. Using his newfound political power, he directed contracts for the building materials and labor necessary to build City Hall to various political allies in the city. His doling out of patronage would set a precedent. The project’s budget, initially set at $10 million, more than doubled by the completion of the project to nearly $25 million. The widespread patronage also caused the project to drag on for thirty years. By the time the building was complete, the building’s Second Empire architectural style was out of vogue. 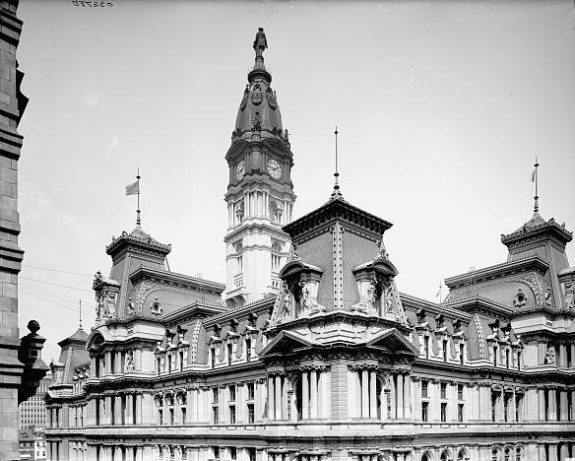 Agnes Repplier, commenting on the building and its location, called City Hall “that perfect miracle of ugliness and inconvenience, that really remarkable combination of bulk and insignificance.” The power of the contractor bosses turned what was to be one of the largest and grandest municipal buildings in the world into what some viewed as a public embarrassment. 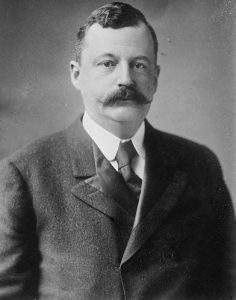 Between 1917 and 1922, James P. McNichol, Boies Penrose, and Edwin Vare died, leaving William S. Vare as the contractor king and undisputed political boss of Philadelphia. William Vare continued in his brother’s footsteps aided by his protégé W. Freeland Kendrick, who became mayor of Philadelphia in 1924. During the administration of Kendrick, ground was broken on the Broad Street Subway, and work intensified on the Delaware River Bridge (later known as the Benjamin Franklin Bridge) and the Philadelphia Museum of Art. Because of these projects the Vare Construction Company received eleven major contracts from the city totaling more than $1.4 million. Seeking more political power, Vare ran for the U.S. Senate in 1926 and won. Due to his reputation as a corrupt urban boss and his views on Prohibition, the U.S. Senate denied Vare his seat after a three-year investigation. The rejection by the Senate ended Vare’s dominance of Philadelphia politics. This cartoon from the Philadelphia Record around 1916 depicts the city's ruling bloc of politicians and contractor bosses, ironically and with apparent glee declaring that "No contractors shall rule this town-n-n!" They are (from left) U.S. Senator Boies Penrose, lawyer and future Pennsylvania governor George H. Earle Jr., State Senator James P. McNichol, State Senator Edwin H. Vare, and U.S. Representative William S. Vare. The Vares' diminutive stature—especially when compared with such oversized figures as "Big Grizzly" Penrose and "Sunny Jim" McNichol—made them an easy target for caricaturists, who often depicted them as schoolboys wearing knickers. As Philadelphia expanded physically after its 1854 consolidation of city and county, building contractors wielded a greater degree of political power as they paid politicians and civil servants handsomely for the rights to construct the city’s infrastructure. The late nineteenth century saw the emergence of the “contractor boss”—a construction magnate who wielded political power directly rather than through intermediaries. Reformers bemoaned the rise of a “contractor combine,” which dominated Philadelphia politics from the 1880s to the 1930s and enriched itself on overpriced deals that cost taxpayers millions of dollars annually. Like many American cities, Philadelphia experienced astonishing growth after the Civil War in terms of population, geographic expanse, and wealth. As the city grew into an industrial powerhouse, every year larger portions of the municipal budget were pledged to infrastructure for the fast-growing metropolis: street paving, gas and water mains, sewers, docks, schools, hospitals, public transportation, and large-scale civic projects. Philadelphia’s expansive spirit was symbolized by the new Public Buildings, or City Hall, at Broad and Market Streets. 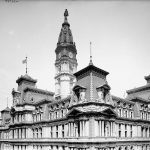 When its cornerstone was laid on July 4, 1874, Philadelphia City Hall was projected to become the tallest building and most luxurious municipal structure in the world. Soon after its inception, the Republican Organization found powerful allies among builders willing to pay for the privilege of participating in big-budget projects like City Hall. In the 1870s, political boss David Martin (1845-1920) began to recruit Irish Catholic contractors into the Republican Party, until then a bastion of Protestantism. 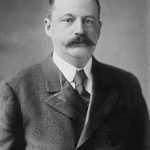 Israel W. Durham (1854-1909), one of Martin’s rivals, formed an alliance with John Mack (1852-1915), head of numerous paving companies and later president of the Keystone Telephone Company. Thanks to Durham, Mack’s businesses acquired municipal contracts worth $33 million. Martin and Charles A. Porter (1839-1907) became two of the first men to straddle the worlds of private enterprise and municipal service as true contractor bosses. During the 1880s and 1890s, while Martin served in various state offices and Porter was a state senator, they joined forces with John Mack to form the “Hog Combine,” so called because “they hogged everything in sight and more.” Martin and Porter’s Vulcanite Paving Company received 888 contracts valued at over $6 million, while other companies controlled by Porter were awarded contracts worth more than $2 million. Among the projects handled by the Hog Combine were the paving of Broad Street and the construction of the East Park and Queen Lane Reservoirs. South of Market Street, the three Vare brothers ruled: George (1859-1908), Edwin (1862-1922), and William (1867-1934). Born to a poor family in the marshy wasteland known as the “Neck,” the “Dukes of South Philadelphia” developed a lucrative trash collection business, later expanding into street cleaning and contracting. Protégés of First Ward leader Amos Slack (1840-1899), the Vares used their political contacts to collect over $18 million from fifty-eight city contracts between 1888 and 1911. The Vares invested their profits in building an unstoppable political machine in South Philadelphia, using their clout to win more contracts and earn more money. Their sway increased significantly when voters elected George to the State Legislature in 189o and to the State Senate five years later. When George died suddenly in 1908, Ed assumed his Senate seat. Bill rose from the Philadelphia Select Council to become U.S. congressman for Philadelphia’s First District, which encompassed his home district of South Philadelphia. In the years before World War I, Vare-controlled men headed most of the important City Council committees, including Finance, Highways, and Street Cleaning. In theory, the McNichol and Vare blocs agreed to divide the city at Market Street to ensure peace within the “contractor combine.” In practice, the two camps waged a bloody struggle for control of the Republican City Committee, composed of the party leaders of the city’s forty-eight political wards. The upper hand in the ongoing battle was held by Boies Penrose (1860-1921), who represented Pennsylvania’s corporate interests in the U.S. Senate for twenty-five years. While Penrose usually favored McNichol, he borrowed significant sums from the Vares, paying them back by arranging private contracts with major corporations. The deaths of McNichol, Penrose, and Edwin Vare between 1917 and 1922 left William S. Vare as the undisputed boss of Philadelphia. During the 1920s, he commanded more political power than any other single Philadelphian before or since. A Senate investigation in 1926 concluded that thanks to Vare’s army of election “watchers,” the average Philadelphia voter had a one-in-eight chance of having his ballot recorded accurately on Election Day. One commentator compared Vare to the Italian Fascist dictator Benito Mussolini (1883-1945), with the distinction that the citizens of Rome enjoyed clean water, clean streets, and efficient transportation, unlike the citizens of Philadelphia. When Vare’s protégé, Receiver of Taxes W. Freeland Kendrick (1874-1953), took office as mayor in 1924, he launched a lavish program of public works, reversing the austerity measures of his predecessor J. Hampton Moore (1864-1950). Ground was broken for the Broad Street Subway, expanding the city’s mass transit system beyond the Market-Frankford line. Work stepped up on the Delaware River Bridge, the Free Library, and the Museum of Art, projects that had languished under Moore. The city allocated funds to rebuild Philadelphia General Hospital, to construct a new hospital complex at Byberry, and to erect a City Hall Annex. Millions of dollars were devoted to a Sesquicentennial International Exposition to mark the country’s 150th anniversary in 1926, a dismal failure that attracted half the visitors of the 1876 Centennial. William Vare benefited directly and indirectly from much of this largesse. The Vare Construction Company received eleven major contracts totaling more than $1.4 million during the Kendrick administration, including work on the Broad Street Subway, the Museum of Art, and the Municipal Stadium. Vare used his influence to have the Sesquicentennial Exposition relocated from Center City to South Philadelphia, effectively bankrupting the fair but ensuring that his constituents would receive millions of dollars’ worth of jobs and infrastructural improvements. In 1926, William S. Vare ran as the Republican candidate for the United States Senate from Pennsylvania, winning by a significant margin. Alarmed by Vare’s reputation as a corrupt urban boss and his plans to modify Prohibition by permitting the sale of beer and wine, the U.S. Senate refused to seat him until it had investigated the conduct and financing of his campaign. Under the stress of the Senate inquiry, in August 1928 Vare suffered a massive stroke that left him partially paralyzed. After deliberating for more than three years, the Senate voted in December 1929 to deny Vare his seat. 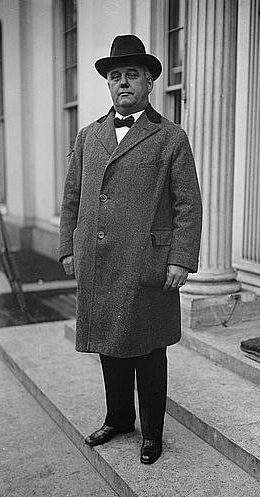 Although Vare remained the nominal head of the Republican Organization in Philadelphia until shortly before his death in 1934, his political dominance effectively ended with the Senate rejection. The Great Depression, with its devastating impact on jobs, municipal expenditures, and construction, marked the end of the golden age of the contractor boss. As the Depression abated, a new generation of influential contractors emerged in Philadelphia, but none dominated the political landscape as had McNichol or the Vares. Many of the later contractor bosses were Democratic and Irish Catholic, reflecting the city’s changing demographics: John B. Kelly Sr. (1889–1960), Matthew H. McCloskey (1893–1973), and John McShain (1896–1989). While the era of the contractor kings had passed, Philadelphia remained in many ways their creation. The expansionist legacy of the contractor bosses remained manifest in such physical landmarks as City Hall, Roosevelt Boulevard, the Philadelphia Museum of Art, Market-Frankford Subway-Elevated Line, and Benjamin Franklin Bridge. This durable infrastructure served as a testament to a body of men who bent the political will of a major American city to accommodate their own personal and professional interests. Thomas H. Keels is a local historian and the author or coauthor of six books on Philadelphia, including Forgotten Philadelphia: Lost Architecture of the Quaker City (Temple University Press, 2007). His latest work, Sesqui! Greed, Graft, and the Forgotten World’s Fair of 1926, a study of the ill-fated Sesquicentennial International Exposition, will be published by Temple in early 2017. Abernethy, Lloyd M. “Progressivism: 1905–1919.” Philadelphia: A 300-Year History. Weigley, Russell F., ed. New York: W.W. Norton & Company, 1982. Beers, Paul B. Pennsylvania Politics Today and Yesterday: The Tolerable Accommodation. University Park, Pa.: Pennsylvania State University Press, 1980. Clark, Dennis. The Irish Relations: Trials of an Immigrant Tradition. London, England: Associated University Presses Inc., 1982. Clark, Dennis. The Irish in Philadelphia: Ten Generations of Urban Experience. Philadelphia: Temple University Press, 1973. Dudden, Arthur P. “The City Embraces ‘Normalcy’: 1919–1929.” Philadelphia: A 300-Year History. Weigley, Russell F., ed. New York: W.W. Norton & Company, 1982. Gillette, Howard F. Corrupt and Contented: Philadelphia’s Political Machine, 1865–1887. Ph.D. dissertation, Yale University, 1970. __________. “Philadelphia’s City Hall: Monument to a New Political Machine.” Pennsylvania Magazine of History and Biography, Vol. 97, Issue 2 (April 1973): 233-249. McCaffery, Peter. When Bosses Ruled Philadelphia: The Emergence of the Republican Machine, 1867-1933. University Park, Pa.: Pennsylvania State University Press, 1993. Salter, J.T. The People’s Choice: Philadelphia’s William S. Vare. Jericho, New York: Exposition Press, 1971. Tinkcom, Margaret B. “Depression and War: 1929–1946.” Philadelphia: A 300-Year History. Weigley, Russell F., ed. New York: W.W. Norton & Company, 1982. General Collection, Athenaeum of Philadelphia, 219 S. Sixth Street, Philadelphia. Albert M. Greenfield Center for Twentieth-Century History, Historical Society of Pennsylvania, 1300 Locust Street, Philadelphia. Contemporary Culture Collection, Urban Archives, Special Collections Research Center, Temple University Paley Library, 1210 Polett Walk, Philadelphia. Benjamin Franklin Bridge, North Fifth Street between Vine and Race Streets, Philadelphia. City Hall, Broad and Market Streets, Philadelphia. Free Library of Philadelphia, Central Library, 1900 Vine Street, Philadelphia. Philadelphia Museum of Art, 2600 Benjamin Franklin Parkway, Philadelphia.